The Imperium of Man is beset on all sides by traitors and aliens. 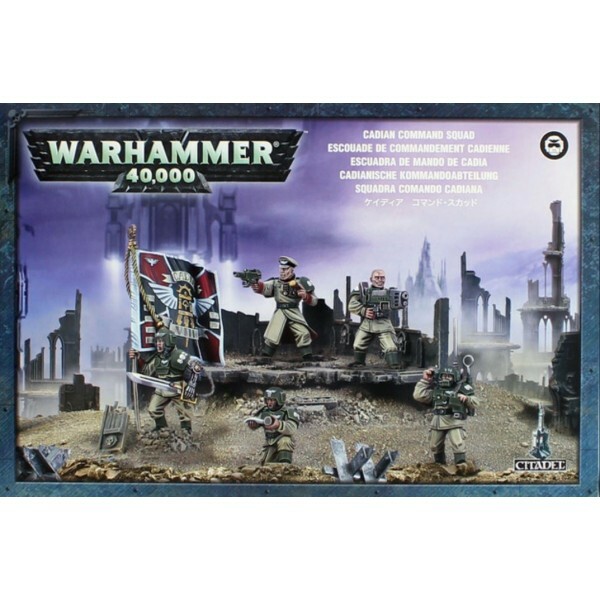 Across countless warzones, the warriors of the Astra Militarum fight a desperate war to hold back humanity's enemies, resolute Generals spending lives and ammunition at an equal rate. 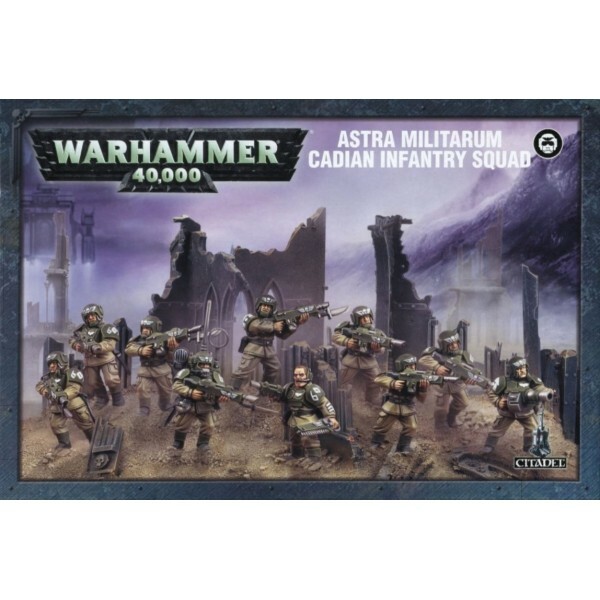 The Astra Militarum is the implacable military arm of the Imperium, and one of the largest forces i.. 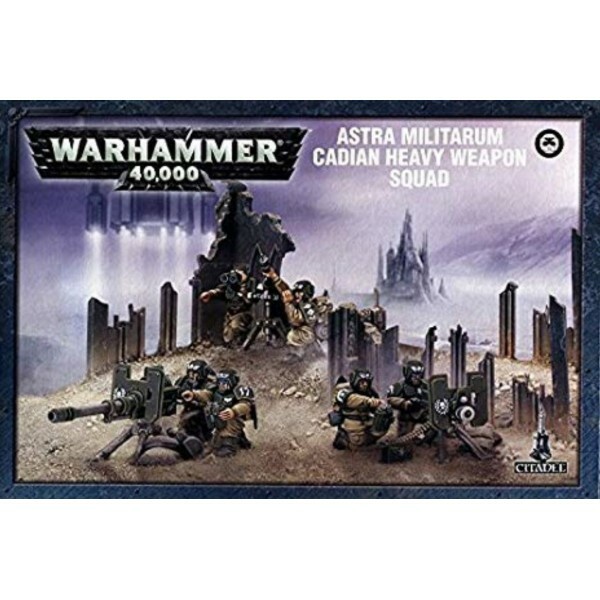 Heavy Weapon Teams are either part of normal Imperial Guard squads or they can be ..
Severina Raine is the Star of the Black Library novel "Honourbound", and is available in a limited r.. 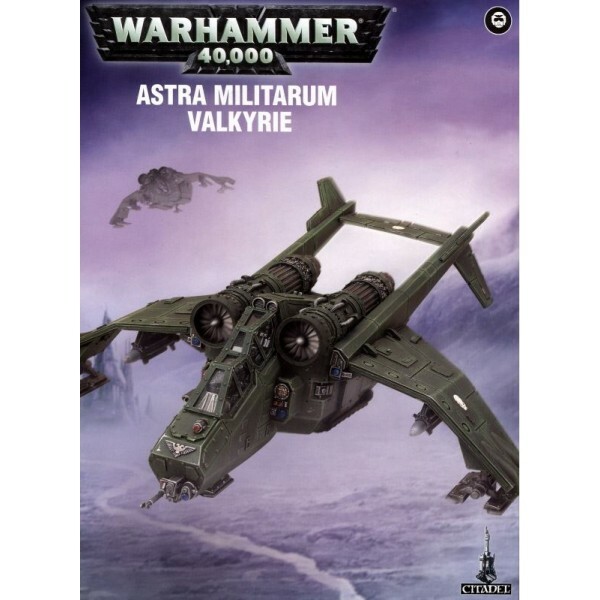 The Valkyrie Assault Carrier is a twin-engine attack craft used for aerial insertions and drop mi.. 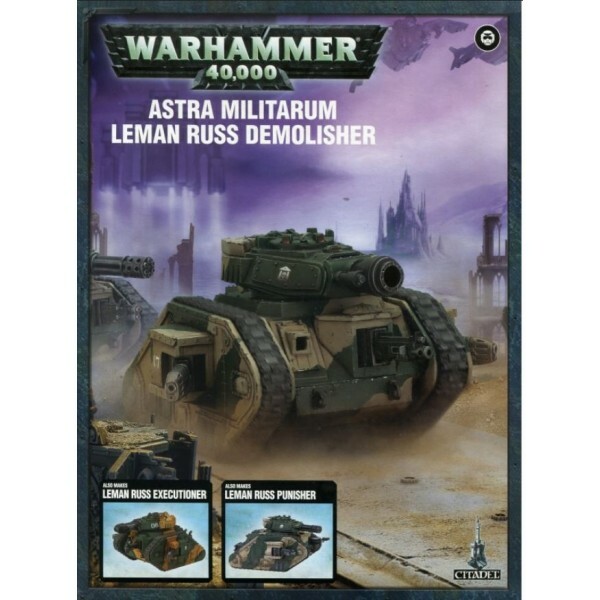 The Leman Russ Demolisher was devised for but one task: line breaking. It carries .. 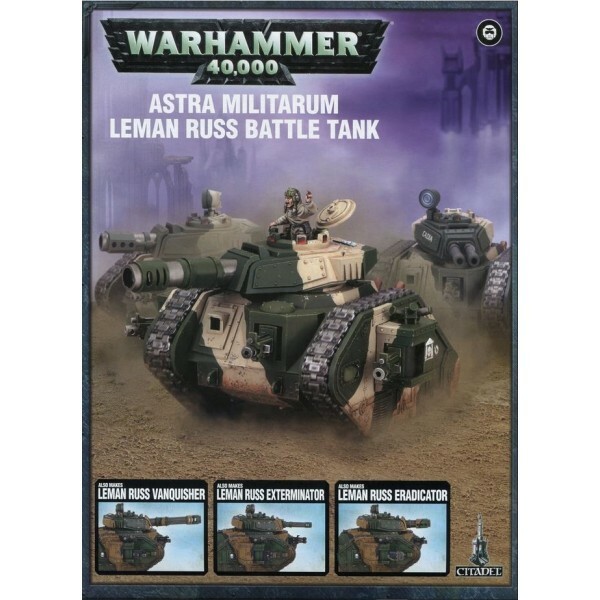 The Leman Russ Battle Tank is the main battle tank of the Imperial Guard armies, a.. The Hydra Flak Tank is equipped to blow aerial foes out of the sky. 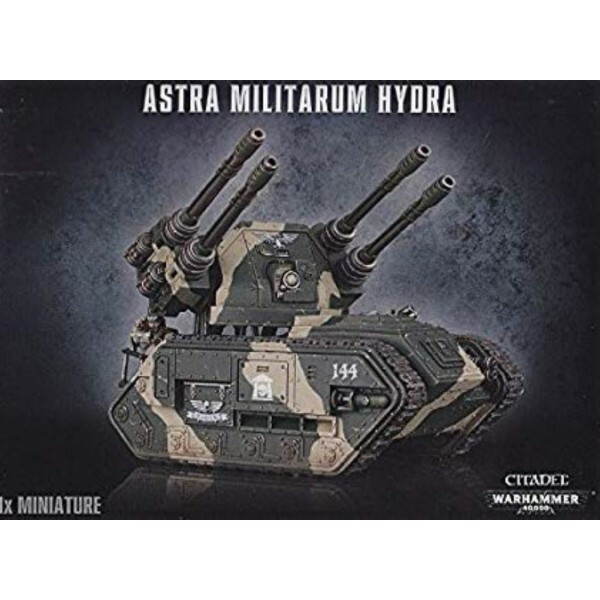 Armed with twin-lined Hydra a.. 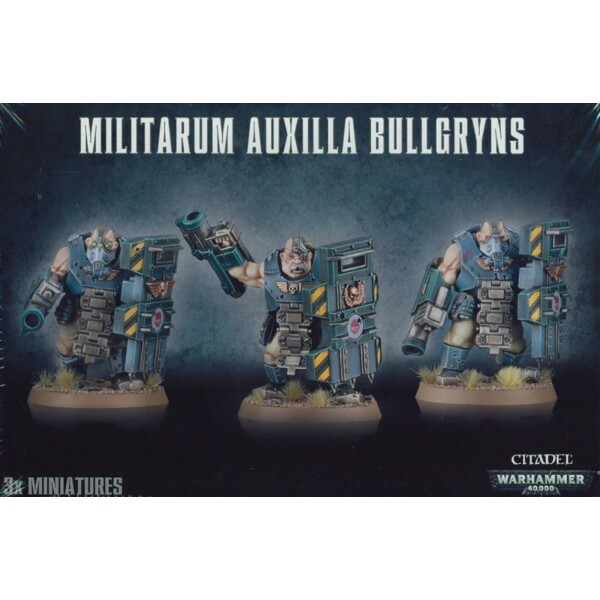 Description The abhumans known as Bullgryns are a formidable sight to behold. 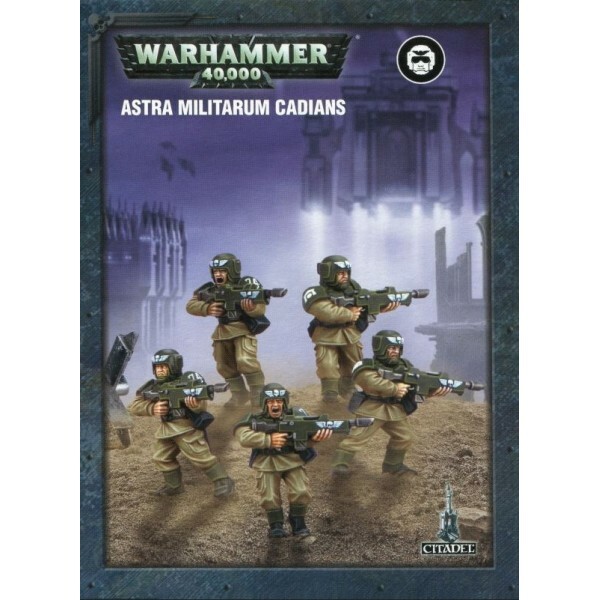 ..
Imperial Guard Cadians (5 models) On Cadia the birth rate and recruitment rate are synonymou.. 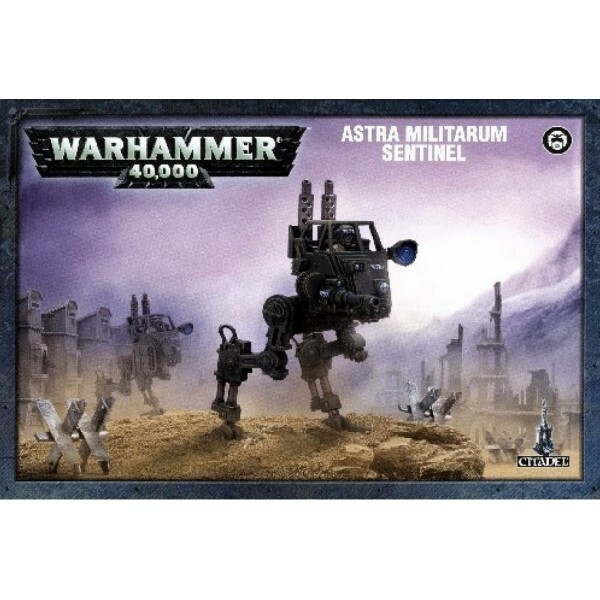 The Sentinel is a one-man all-terrain bipedal vehicle, used by the Imperial Guard when firepower .. 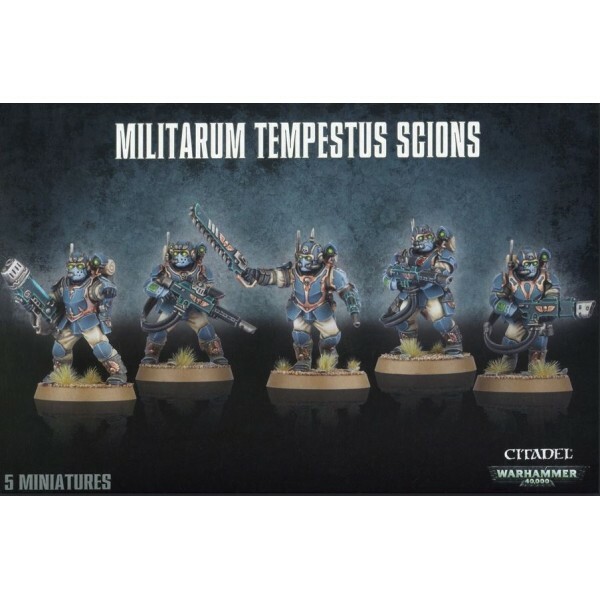 The Astra Militarum is a vast fighting formation and for its operations to go smoothly a substanti..
Imperial Guard Cadian Shock Troops Imperial Guard platoons are made up of several ten-man sq..
Warhammer 40k - Militarum Tempestus - Tempestus Scions / Command Squad The Tempestus Scions a..